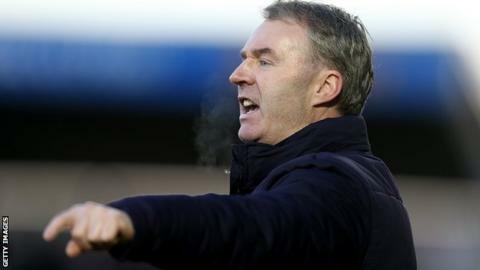 Plymouth Argyle boss John Sheridan has played down speculation linking him to the vacant manager's job at Barnsley. The Tykes, who are 19th in League One, and Sheridan is among the favourites with some bookmakers to fill the role. "I haven't heard anything about Barnsley," Sheridan told BBC Devon. "Because I live in Leeds I'd be interested in Barnsley? I want to be very successful here and I believe we're going to be successful." After guiding the club away from the League Two relegation zone that season, Argyle finished last term 10th in the table, having seen their hopes of a play-off place evaporate as they won just one of their final nine games. This season Plymouth have spent a large chunk of the campaign in the play-off places, and they have won their last three matches having failed to win any of their seven previous games. "There's plenty of hard work to do and I believe I've got a good group of players and we're going the right way at this moment in time," he said. "We've just got to carry on winning games and hopefully we'll be where we want to be."